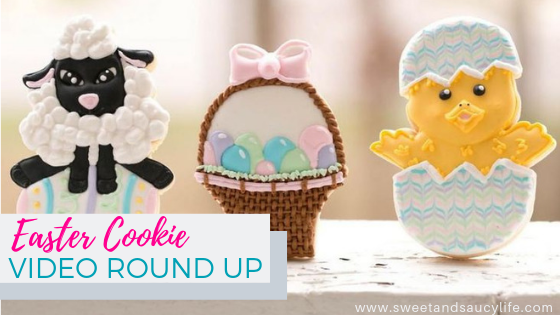 I put all my best Easter Cookie Tutorials in this Easter Cookie Video Tutorial Round-Up! Easter is such a fun time of year to decorate cookies and share them with your loved ones. 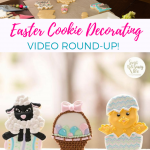 Today, I wanted to inspire your Easter creativity by putting together an Easter Cookie Video Tutorial Round-Up. These videos have something for everyone – beginner or expert. I also added an adorable Bunny Bottom Cake that I created with Crazy Cakes KC to the mix….I think it’s my favorite! Enjoy!! Easy Peasy Easter Peeps Cookies! These Easy Peasy Easter Peep Cookies are the perfect beginner cookie decorating project! Join me #LIVE! Easy Peasy Easter Peeps Cookies! Your guests will be super impressed with these simple Moss Bunny cookies. Be sure to catch Part 2 below! #LIVE with 2 Easy Easter cookies that will wow your guests! Join me! #LIVE with 2 Easy Easter cookies that will wow your guests! Join me! Part 2. This Bunny Bottom Cake mixes cookie and cake decorating to create an adorable Easter treat! 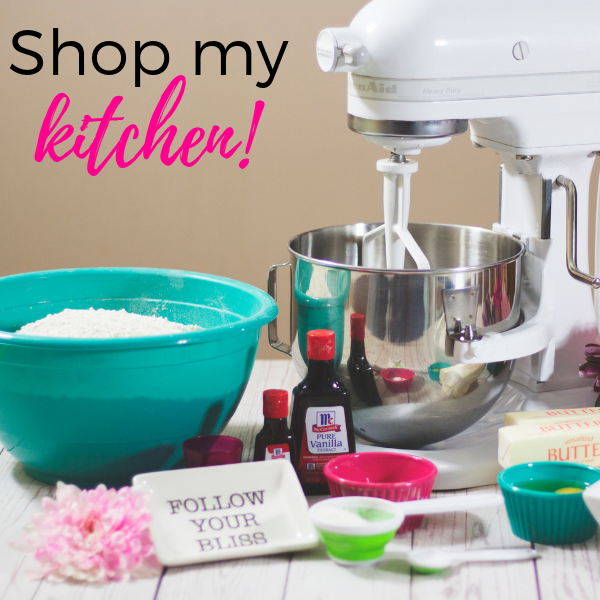 Find Ashley’s Purple Apron on Facebook HERE! We're #LIVE with Crazy Cakes KC!Cake and cookies collide with a cute bunny bottom cake! I give lots of tips and tricks for airbrushing your cookies in this Easter Cookie video. Pastel Butterfly, Egg and Carrot. If you love pastels, these super simple cookies will be your new favorites! 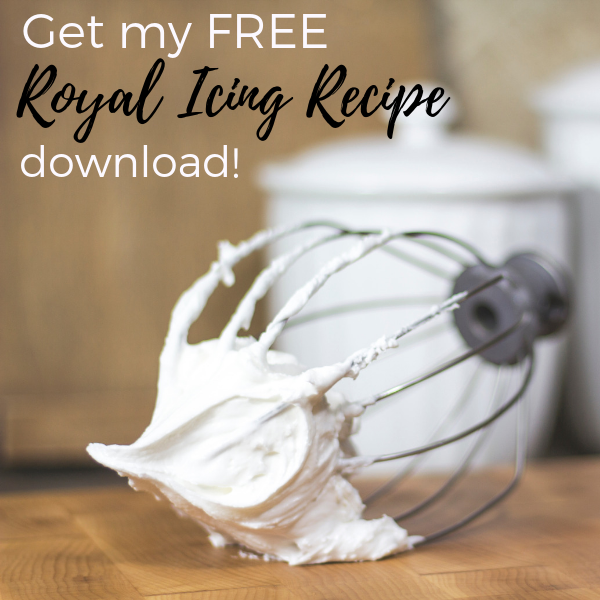 These cookies utilize some more advanced techniques, but you will still want to give them a try! Plus, I talk a bit about Virtual Cookie Club! Which Easter Cookie will you be making this year? Find me on Facebook or Instagram and let me know! 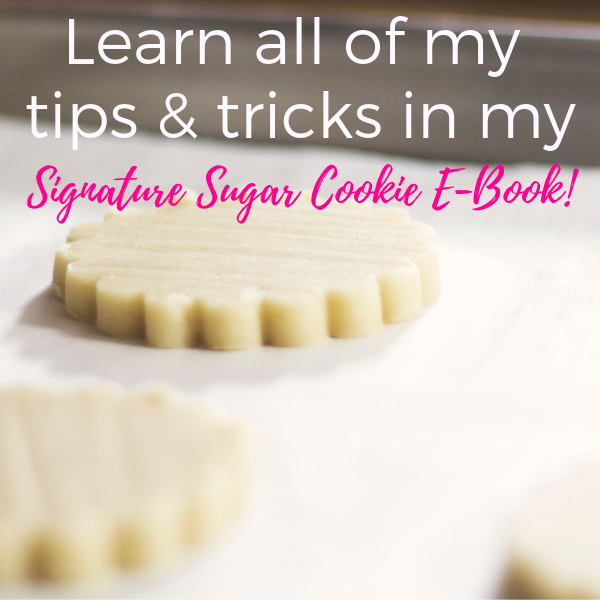 Still looking for more sugar cookie decorating ideas? If so, the Virtual Cookie Club may be perfect for you. I only let in new members a couple of times per year, so be sure to go HERE and get on the waitlist. We will be sure to let you know when you can get a spot in the Club! Be sure to Pin It for later! !